As I got up to check for orders and begin the packing process of chess equipment for some reason still unknown to me I turned on the TV and there before me was one of the worst days in our nation’s history unfolding with terrible consequences. That day 15 years ago is now known simply as 9/11 and it was upon us with tremendous ferocity. On this 15th anniversary every player who purchased or gave a donation for this board should take it out and play a game in memory of those who died. 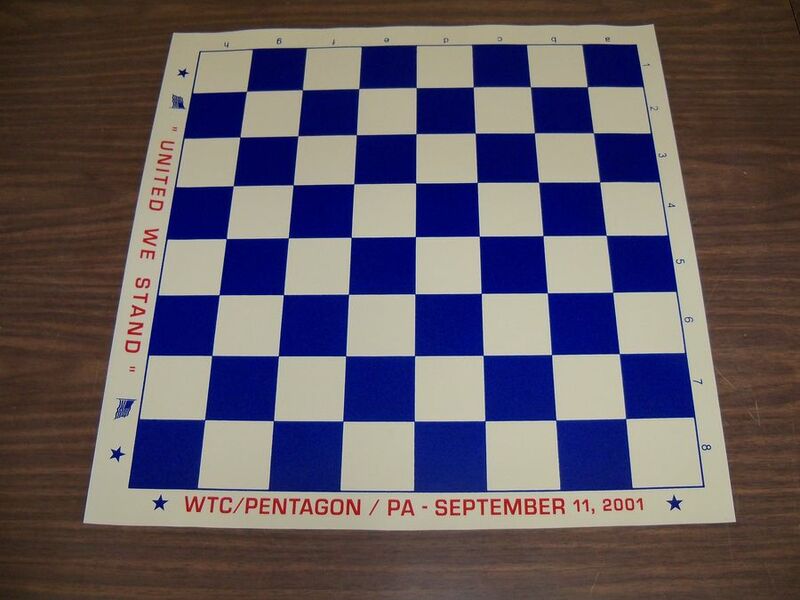 I would like to make note of information that came to me shortly after I gave away these boards: That morning several of our chess instructors in the area of the World Trade Center, the Pentagon and the Pennsylvania sites were providing chess lessons for some school students. It was later learned that some of the parents of these students perished in this tragedy. 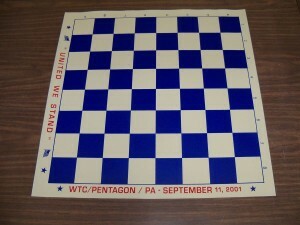 As with other traumatic events in our nation’s history, we should always remember, “United We Stand and Never Forget.” A copy of this board is currently in the Chess Hall of Fame Museum in St. Louis, Missouri.